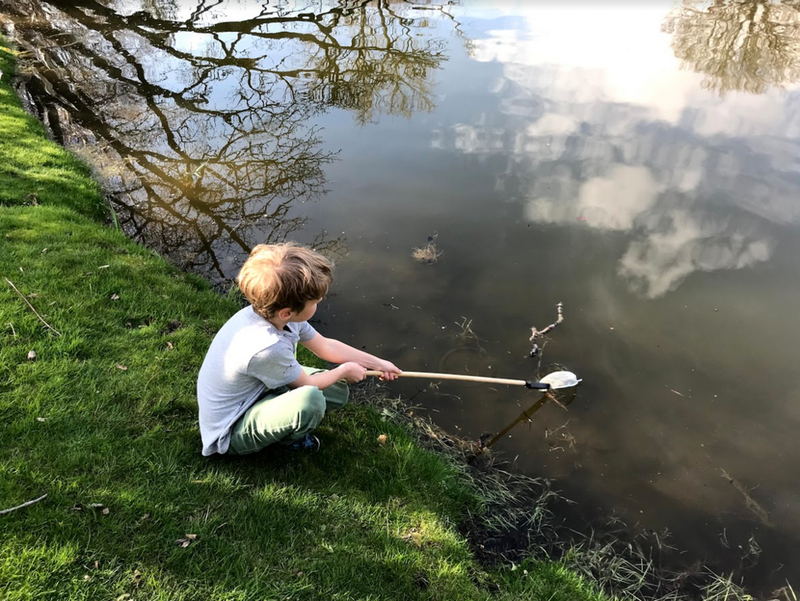 Pond studies are a highlight of WonderLab programming as it offers a chance for students to be exposed to different field tools, protocols, and the diversity of life within an aquatic habitat. 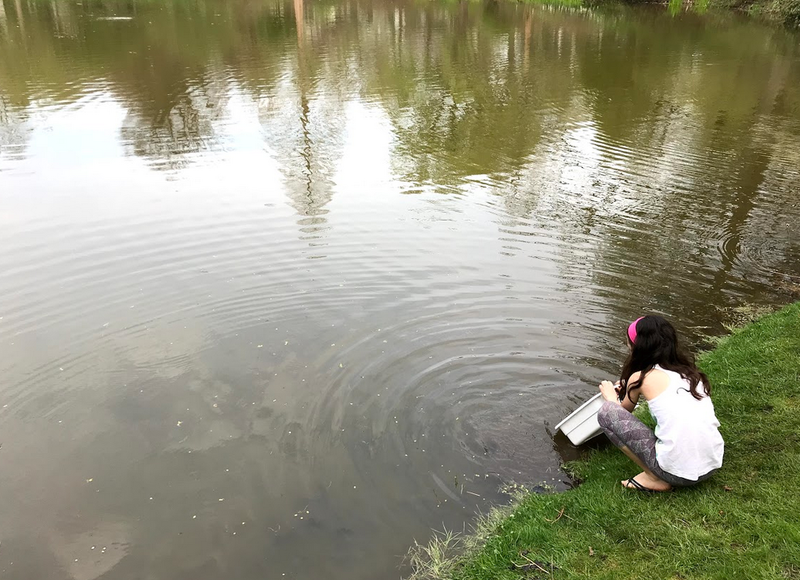 Each pond study takes place at Consecration Dell, Halcyon Lake, or Auburn Lake at Mount Auburn Cemetery. Students explore both biological and chemical characteristics of the water body. 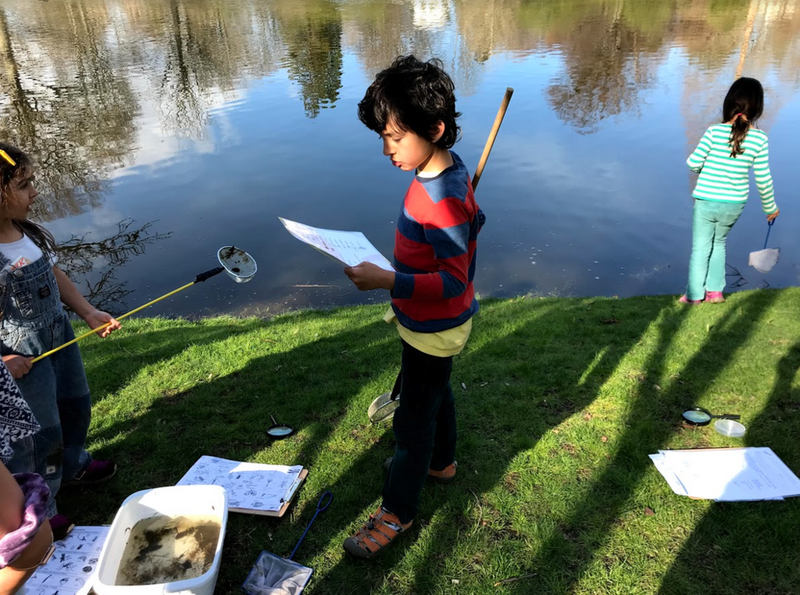 By taking pH and temperature samples of the water, students are able to practice what we've done at Lesley to determine the health of a water body and whether or not it can support life based on it's acidity and temperature. The highlight of each pond study is collecting macroinvertabrates with nets and tubs. Once students collect samples they tried to I.D. the critters and determine if they were pollution tolerant or not! These exploration inspired many art projects all year.